Audio input and PTZ continuing rotate test. 1. SD video formats NTSC/PAL Automatically adapt and display formats. 2. PTZ control . Pan/tilts the P/T unit, zooms in/out the lens,adjust the focus, aperture and sets and call the preset position. 3. 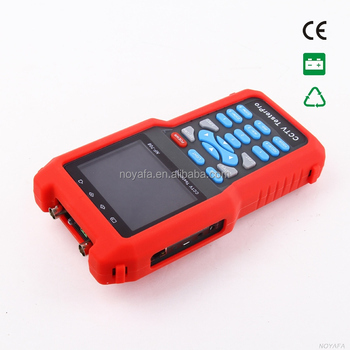 Video signal analysis, by analyzing the sync level measure video signal amplitude attenuation. 5. Input Audio signal,test pickups and microphone audio signal. 7. 485 Control Interface .Support Baud Rates with 2400/ 4800/ 9600 . 8. Multi-Protocol . 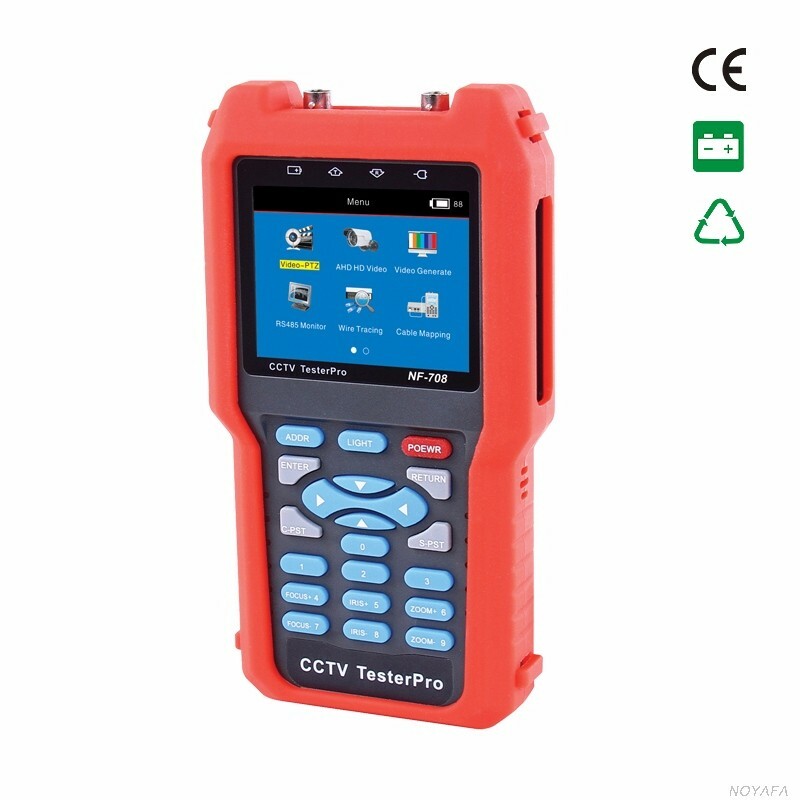 Support more than 20 kinds PTZ protocol, such as PELCD-D, PELCD-P,SAMSUNG,MINKING etc . 9. Date analyst. 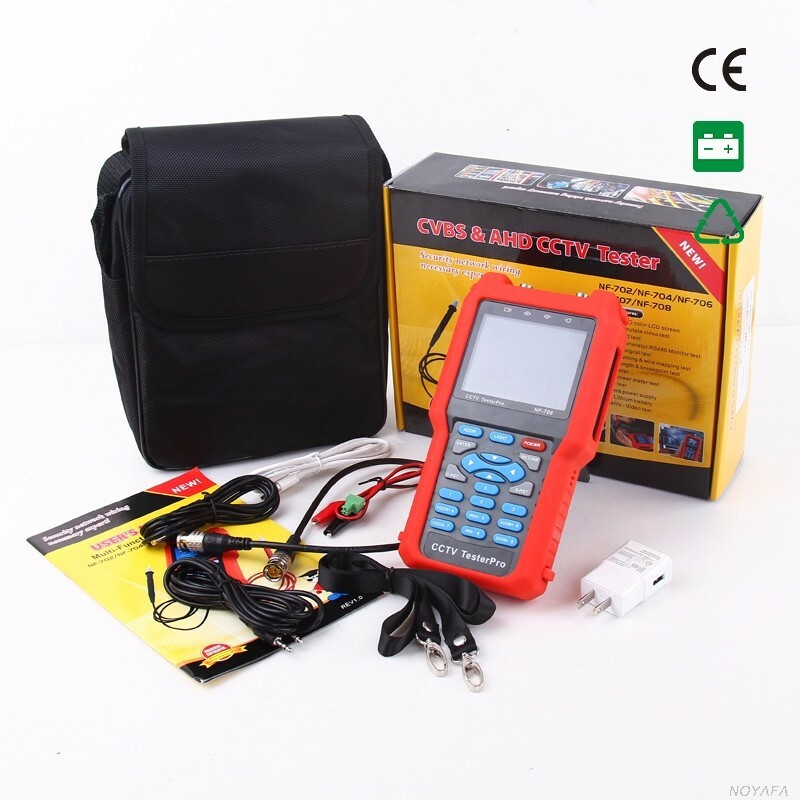 Captures and analyzes RS 485 controlling date to help the technician to find out the problem. 1. Chinese and English can be selected. 2. 3.5 TFT-LCD,960(H) x 240(V) resolution. 4. Anti-jamming ,free noise ,capable of working in the exchanger and PC startup . 5. Locate breakage point accurately. 6. Low battery alarm function: when main voltage <3.4v or Receiver voltage <6v. 7. Function of storage and memory . 8. Large-capacity high-performance lithium battery-powered, rechargeable.